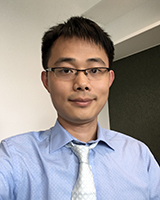 Dr. Yi Li is Lecturer Of Chinese Business Management in Discipline of International Business, at the University of Sydney Business School. His research interests include internationalization of firms in emerging economy, institutional approaches of business strategy, and dynamic evolution of control in international joint ventures. Yi received his Bachelor Degree with Honours at University of International Business and Economics, and his Ph.D. in International Business from the Australian National University. Before joining the Discipline in 2017, he was the International Research Fellow in China Europe International Business School, which ranks Top 20 in the world. His work has been published or forthcoming in journals such as Organization Studies, Global Strategy Journal, International Business Review, Management International Review, Journal of Business Research, Technovation and others. He has won national competitive research grants such as National Natural Science Foundation of China Grant. He currently serves as an editor of Chinese Management Studies (ABDC: C). International business strategies of emerging market multinational enterprises – which involves understanding the influences of environmental contexts and top management team’s structure on firms’ strategies and corresponding performances. Institutional perspectives – which approaches the behaviour of multinational enterprises through comparative institutional analysis (or comparative capitalism), and integrates insights from neo institutional economics and multiple institutional logics. Chen L, Li Y, and Fan D (2019) Who are the Most Inclined to Learn? Evidence from Chinese Multinationals' Internationalization in the European Union? Asia Pacific Journal of Management, In Press. Li Y, Cui L, Choi Y, and Tian X (2018) Which way to catch up? Top management team functional diversity and unconventional FDI portfolios of emerging economy firms 44th European International Business Academy (EIBA) Annual Conference; European International Business Academy (EIBA), Poznan, Poland, 13-15 December 2018. Li Y, Cui L, and Li Z (2011) Low-Level Management Control and Emerging Economy Firms� Cross-Border Knowledge-Transfer 25th Australian and New Zealand Academy of Management Conference ANZAM 2011; Australia and New Zealand Academy of Management (ANZAM), Wellington, New Zealnd. Aligning Ambidextrous Internationalization Strategy with Inbound International Diversification: A Study of Emerging Economy Firms from China and India; Pilot Research Scheme.